Almonds represent a rich source of vitamin E. One ounce of almonds offers around 7.5 milligrams of vitamin E, meaning half of the recommended daily dosage per adult. Try integrating almonds in your diet as much as possible, by eating them raw and combined in salads or desserts. 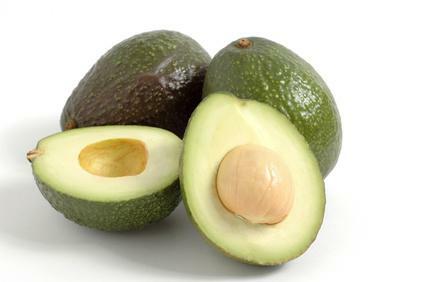 Almond milk and extracted oils also count as an important source of natural vitamin E.
Avocados are creamy, oil-rich fruits. Only one half of an avocado stands for 2 milligrams of vitamin E, which is 1/8 of what you need to daily incorporate in your diet. Moreover, avocados are extremely versatile in kitchen, making them great for sauces (such as guacamole), salads, and even sandwiches. Dried apricots are a great source of fibers and natural vitamins, including vitamin E. Usually taken as a snack or as an integrated part of salads and desserts, 100 grams of dried apricots will count for around 30% of the daily necessary dose of vitamin E for adults. Dried herbs (basil and oregano). Used more as condiments for various dishes, sauces, pizza, or salads, these dried herbs also represent a rich source of vitamins and minerals. One teaspoon of dried basil and oregano count for 1% of your daily necessary dose of vitamin E, making them a great reason to integrate them more often in your cooking meals. Other herbs rich in vitamin E are sage, parsley, and cumin. Broccoli. Considered one of the best detoxifying vegetables, broccoli is not only rich in vitamin E, but also in iron, and vitamin A. 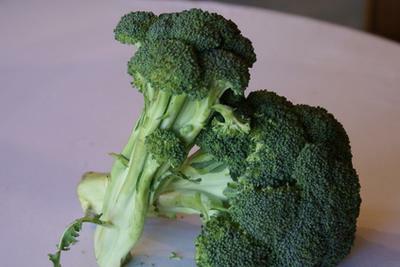 Consumed daily raw of steamed, broccoli will provide you with 4% of your daily requirement of vitamin E. Next time when shopping for groceries, make sure you buy organic broccoli too! Kale. Similar to broccoli and salad, this cruciferous vegetable is high on delicious nutrients, vitamins, and minerals. Only one cup of boiled kale served as entrée will boost you with 6% of your daily need of vitamin E. Delicious! Mustard greens, just like almost all other green veggies, represent an important source of vitamins and minerals. Mustard greens are not only rich in vitamin E, but also in vitamins A, C and K, as well as folate. As little as one cup of this boiled greens will provide you with 14% of your daily requirements of vitamin E. They can also be consumed raw, as they make the perfect compounds for salads. 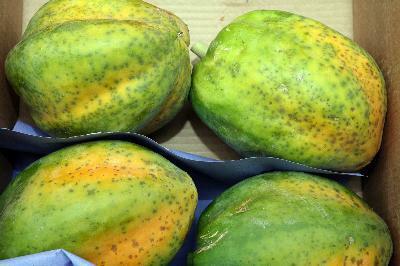 Papaya is by far one of the most loved fruits across the globe. Its juicy and naturally sweet content make it a perfect treat for vitamins C and E. One papaya can help you achieve up to 20% of your necessary amount of vitamin E. Not to mention it is extremely delicious if turned into a smoothie! Spinach and baby spinach. As it was already mentioned, green veggies are a must on your daily dietary plan, as they are high in natural vitamins and antioxidants which will improve your overall health condition and provide you with enough energy for the entire day. Spinach represents a great proof that veggies can also be a strong source of calcium and folate, not only of vitamins. However, one cup of spinach (boiled or raw) will support you with a fifth of your daily necessary of vitamin E. Under these circumstances, no wonder that Popeye the Sailorman always used spinach as his energy and strength booster. Sunflower seeds. By introducing seeds in your daily dietary plan you will boost your health and help your organism remain younger for a longer time. Sunflower seeds are probably the richest foods in vitamin E, as 100 grams provide more than twice of your daily necessary amount of it. Eat them fried and salted as a natural appetizer or integrate them in your daily salads for extra flavor. What is Kale? You have mentioned above kale is very rich source of Vitamin E. Is is a vegetable or found in India.